BRUSSELS TRAMS ARE SAVED: Thank you to our donors and to a matching grant from the 20th Century Electric Railway Foundation the 9 Brussels trams are here to stay!. Click here to learn more! 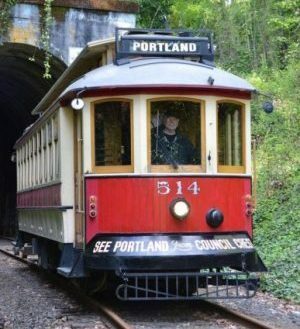 Take a trolley ride thru posh homes, a pitch black tunnel, a trestle with gorgeous views of the Willamette River, and thru Powers Marine Park. 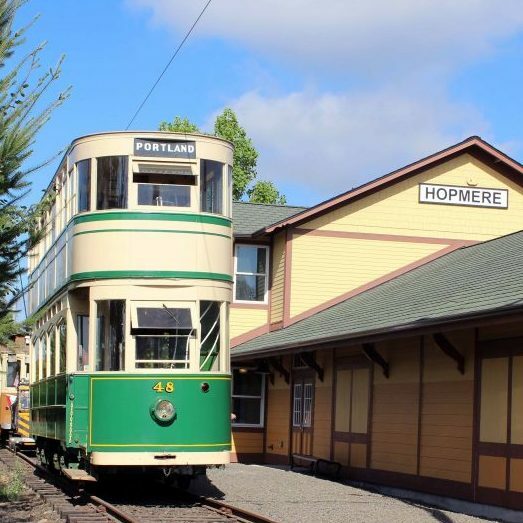 Trolleys depart from Lake Oswego, and SW Portland Sat-Sun thru the end of October. Normal Trolley service returns in May 2019. The museum is located at Antique Powerland in Brooks, Oregon, I-5 Exit 263. The OERHS is a non-profit 501(c)3 Corporation and founded in 1957. The Society is dedicated to the preservation and education of our historic electric railway heritage, which includes trolleys, interurbans, and electric freight. The OERHS operates the WST and the Trolley Museum. It is an all-volunteer organization. Please consider to join us.